January 31, 2019 – Hill’s Pet Nutrition Voluntarily Recalls Select Canned Dog Food for Excessive Vitamin D. Hill’s Pet Nutrition is voluntarily recalling select canned dog food products due to potentially elevated levels of vitamin D. While vitamin D is an essential nutrient for dogs, ingestion of elevated levels can lead to potential health issues depending on the level of vitamin D and the length of exposure, and dogs may exhibit symptoms such as vomiting, loss of appetite, increased thirst, increased urination, excessive drooling, and weight loss. Vitamin D, when consumed at very high levels, can lead to serious health issues in dogs including renal dysfunction. Pet parents with dogs who have consumed any of the products listed and are exhibiting any of these signs should contact their veterinarian. In most cases, complete recovery is expected after discontinuation of feeding. August 6, 2018 – G & C Raw LLC of Versailles, Ohio, is recalling Pat’s Cat Turkey Cat Food and Ground Lamb Dog Food because they have the potential to becontaminated with Listeria monocytogenes. June 13, 2018 – Dave’s Pet Food is recalling one lot of its Dave’s Dog Food 95% Premium Beef due to elevated levels of beef thyroid hormone. May 23, 2018 – Merrick Pet Care of Amarillo, Texas, is voluntarily recalling a limited amount of its dog treats due to elevated levels of naturally occurring beef thyroid hormone. April 21, 2018 – OC Raw Dog is recalling one lot of its Freeze-Dried dog treats product because it has the potential to cause botulism poisoning. OC Raw Dog is also recalling one lot of its raw frozen dog food due to potential contamination with Listeria monocytogenes bacteria. April 16, 2018 – Vital Essentials is recalling 2 of its freeze-dried dog food products because they may be contaminated with Salmonella bacteria. April 13, 2018 – K9 Natural is recalling 4 batches of its raw frozen dog food due to possible contamination with Listeria monocytogenes, an organism that can cause serious and sometimes fatal infections in humans and animals. Best by date of April 11, 2017. Batch data: AH 2A 12:08-14:00. The recall was issued because excessive moisture and mold was discovered in the batch. If you purchased any of the affected bags from us please return them for a full refund. Questions may be directed to Blue Buffalo’s customer service at 855-201-4331 Monday through Friday, between 8 a.m. and 5 p.m. Eastern Standard Time. For more information please visit http://frommfamily.com/connect/annoucements. August 30, 2013, St. Louis, Missouri – Nestle Purina PetCare Company (NPPC) is voluntarily recalling a limited number of 3.5-pound bags of its Purina ONE beyOnd Our White Meat Chicken & Whole Barley Recipe Adult Dry Dog Food from a single production run and shipped to retail customers in the United States. This is being done because one bag of the product was found to be contaminated with Salmonella. For more information please visit: Nestle Purina PetCare Recall. June 18th, 2013. We have some sad news to share. We are announcing today a voluntary recall of all Innova, California Natural, EVO, Healthwise, Mother Nature and Karma branded dry pet food and biscuit/bar/treat products with expiration dates prior to June 10, 2014. Our decision allows us to ensure that all products available in the marketplace were produced after June 10, the date when we implemented additional finished product testing procedures with the guidance of industry experts. For more information please visit: Natura Pet Recall. April 19th, 2013 – – Natura Pet Recall (Updated) – Out of an abundance of caution, we are extending our recall to include all Natura dry dog, cat and ferret food and treats that have expiration dates on or before March 24, 2014. We are sorry for the disruption, but we simply want to ensure that every product meets our highest quality standards. For more information please visit: Natura Pet Recall. April 3, 2013 – Bravo! 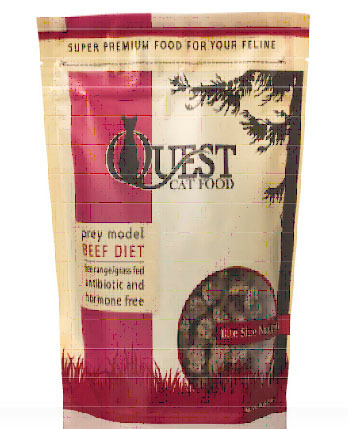 Issues a Voluntary Recall for Three Raw Frozen Food Diet for Dogs and Cats Because of Possible Salmonella Health Risk. Bravo! 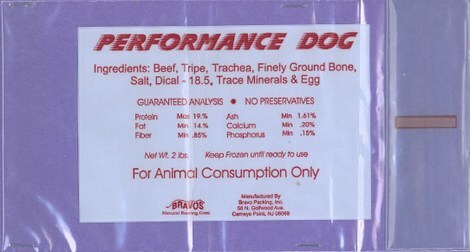 is voluntarily recalling three of its raw diet frozen foods for dogs and cats: 5 lb tubes of Bravo! Chicken Balance product item code 21-405 with “best used by” dates of 3_6_15 and 3_12_15; 2 lb Bravo! 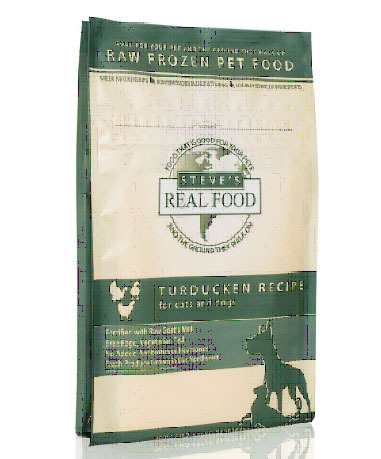 Chicken Blend product item code 21-102 with the “best used by” date of 3_21_15 and 5 lb. bags of Bravo! Beef Blend Burgers product item code 51-508 with the “best used by” dates of 3_21_15 and 3_22_15, because they have the potential to be contaminated with Salmonella. Click here for full recall information. March 13, 2013 – Bravo! is voluntarily recalling its 2 lb tubes of Bravo! Raw Food Diet Chicken Blend for Dogs and Cats, product code: 21-102, batch ID code 6 14 12, because it has the potential to be contaminated with Salmonella. The recall involves 2 lb. Bravo! Chicken Blend frozen raw diet tubes (chubs) made on June 14, 2012 only; no other products or sizes are involved. The recalled product should not be sold or fed to pets. This batch tested negative by a third party independent laboratory prior to release for distribution to consumers, however routine testing by the Minnesota Department of Agriculture of product collected from a single retail location tested positive for presence of salmonella. While the testing discrepancy is unclear, in an abundance of caution Bravo is issuing this recall. Click here for full recall information. March 10, 2013 COLUMBIA, S.C. – Diamond Pet Foods is voluntarily recalling limited production codes of Premium Edge Finicky Adult Cat Formula dry cat food, Premium Edge Senior Cat Hairball Management Formula dry cat food,Premium Edge Kitten Formula dry cat food, Diamond Naturals Kitten Formula dry cat food and 4health All Life Stages Cat Formula dry cat food. Tests conducted by the company indicated the products might have a low level of thiamine (Vitamin B1). There have been no complaints regarding thiamine levels, or any other health issues, related to these products. In association with this voluntary recall, Diamond Pet Foods has tested all other Diamond brands for thiamine deficiency to ensure the safety of the cat food it manufactures. 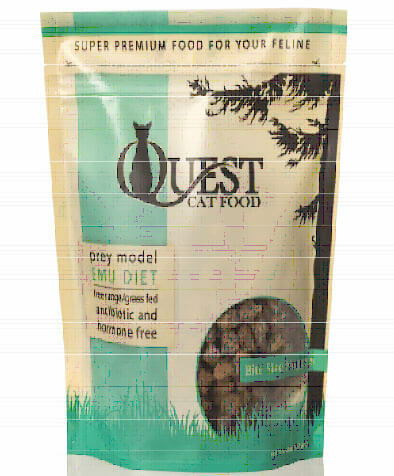 No other product manufactured by Diamond Pet Foods is involved in this voluntary recall. Click here for full recall information. February 27, 2013 – United Pet Group, Inc., announces that it has voluntarily withdrawn a limited quantity of the products “Ultra Blend Gourmet Food for Parakeets,” “ēCotrition Grains & Greens Nutritional Supplement for Parakeets,” “ēCotrition Grains & Greens Nutritional Supplement for Canaries and Finches,” and “ēCotrition Grains & Greens Nutritional Supplement for Cockatiels.” These products contain small quantities of dried parsley flakes supplied to United Pet Group by Specialty Commodities, Inc. On February 11, 2013, Specialty Commodities, Inc. initiated a voluntary product recall of parsley flakes distributed to United Pet Group and other pet food suppliers because the products may have the potential to be contaminated with Salmonella. Specialty Commodities, Inc. distributed the products to United Pet Group on May 30, 2012, and August 29, 2012. Above listed products were distributed throughout the USA and Canada between Oct 2012 and Feb 2013. Click here for full recall information. February 20, 2013 – Nutri-Vet, LLC. of Boise, ID is voluntarily recalling its Nutri-Vet and NutriPet Chicken Jerky Products because they may be contaminated with Salmonella. Salmonella can sicken animals that eat these products and humans are at risk for Salmonella poisoning from handling contaminated pet products, especially if they have not thoroughly washed their hands after having contact with the pet products or any surfaces exposed to these products. Click here for full recall information. February 19, 2013 -Kaytee Products is recalling several bird treats and greens items due to possible contamination of Salmonella from parsley flake ingredients supplied to Kaytee by Specialty Commodities, Inc., an outside supplier to Kaytee. Click here for full recall information. January 9, 2013 – Cadet (IMS Trading Corp) today announced it is voluntarily withdrawing its Cadet Brand Chicken Jerky Treat products sold in the United States until further notice. No other Cadet Brand products are affected by this withdrawal. The Company is taking this action after learning this week that the New York State Department of Agriculture & Markets (NYSDAM) found trace amounts of antibiotic residue in samples of Cadet brand Chicken Jerky Treat products. These antibiotics are approved for use in poultry in China and other major countries, including European Union member states, but are not among those approved in the U.S. Cadet Brand Chicken Jerky Treat products are safe to feed as directed and have not been linked to ANY illnesses in dogs or humans. However, due to regulatory inconsistencies among countries, the presence of antibiotic residue is technically considered an adulteration in the United States. Click here for full recall information. January 9, 2013 – Nestlé Purina PetCare Company and its wholly owned subsidiary Waggin’ Train, LLC today announced it is voluntarily withdrawing its Waggin’ Train and Canyon Creek Ranch brand dog treats sold in the United States until further notice. The Company is taking this action after learning this week that the New York State Department of Agriculture & Markets (NYSDAM) found trace amounts of antibiotic residue in samples of Waggin’ Train and Canyon Creek Ranch chicken jerky products. These antibiotics are approved for use in poultry in China and other major countries, including European Union member states, but are not among those approved in the U.S. Antibiotics are commonly used globally, including in the United States, when raising animals fit for human consumption. Waggin’ Train and Canyon Creek Ranch products are safe to feed as directed. However, due to regulatory inconsistencies among countries, the presence of antibiotic residue is technically considered an adulteration in the United States. This finding does not pose a safety risk to pets. Click here for full recall information. January 9, 2013 – Milo’s Kitchen® today announced that it is voluntarily recalling its Chicken Jerky and Chicken Grillers home-style dog treats from retailer shelves nationally. No other Milo’s Kitchen® products are affected. On Monday, New York State’s Department of Agriculture informed the U.S. Food and Drug Administration (FDA) and the Company that trace amounts of residual antibiotics had been found in several lots of Milo’s Kitchen® Chicken Jerky. After consultation with the New York Department of Agriculture and FDA, the company decided to voluntarily recall Milo’s Kitchen® Chicken Jerky and Chicken Grillers, which are both sourced from the same chicken suppliers.Click here for full recall information.